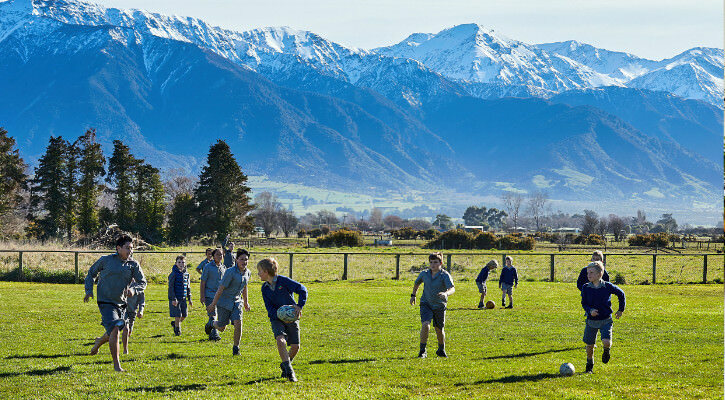 St Joseph’s School has contributed to the education and journey in the faith of hundreds in Kaikoura over the last 125 years. It all began in 1883 when a Catholic School was opened with the first teacher being a Miss Hollis. By 1892, the School roll stood at around fifty pupils! The Sisters of Our Lady of the Mission arrived on the “Whakatu” on the 9th of January 1900, the same year as the new Sacred Heart Church opened, creating a landmark in the history of our Parish. The Sisters initially lived and taught in the renovated St Michaels Church that had been moved from the Kowhai. The 2nd of June 1912 saw a new, purpose-built Convent School opened. Hundreds of children were educated by and learnt music from a wonderful band of devoted Mission Sisters and lay teachers until 1980. On the 15th of June 1980, the present school in Ludstone Road was opened and blessed by Archbishop Thomas Williams, with the original complex subsequently converted into ‘The Old Convent Bed and Breakfast’. With a roll averaging 100, our school continues to play an important role in our community by providing a Catholic education for our children. Integration took place on 17th September 1982.
from St. Joseph’s Centennial Booklet 1883-1983. St Joseph’s School is part of Star of the Sea Parish, Marlborough. We have a close working relationship with the Stewardship group in Kaikoura and have regular class and school Masses where the students play an active role in the Mass. 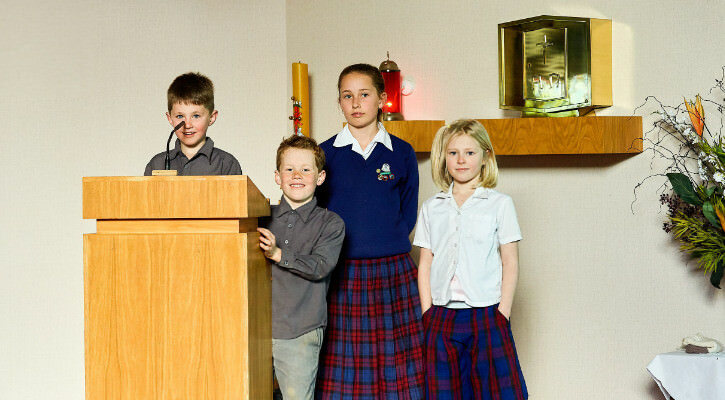 The students are encouraged to participate in Sunday Masses, and the school children host one Sunday Mass per term. St Joseph’s has five classrooms, all well equipped with up to date technology and modern furniture. 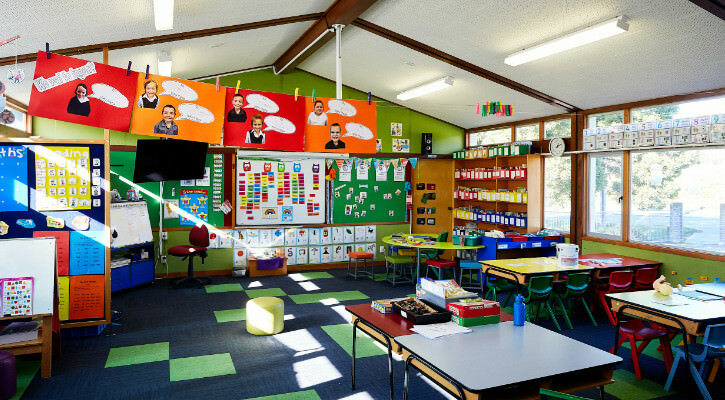 Classrooms reflect the wonderful learning happening in our school. 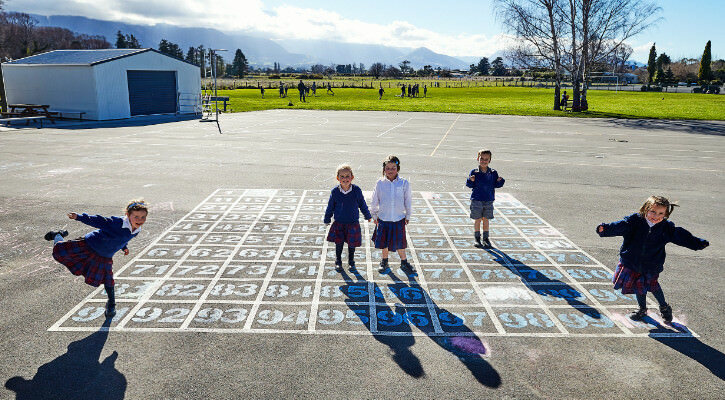 St Joseph’s School has large, well-maintained grounds which include a junior and a senior playground, sandpit, netball/tennis court, rugby field and a shaded lunch area. The students take pride in the grounds. Students regularly use the sports equipment on offer to play touch rugby, netball, tennis, hockey and a variety of other games. We have a very well equipped sports shed that is well utilised by all students.